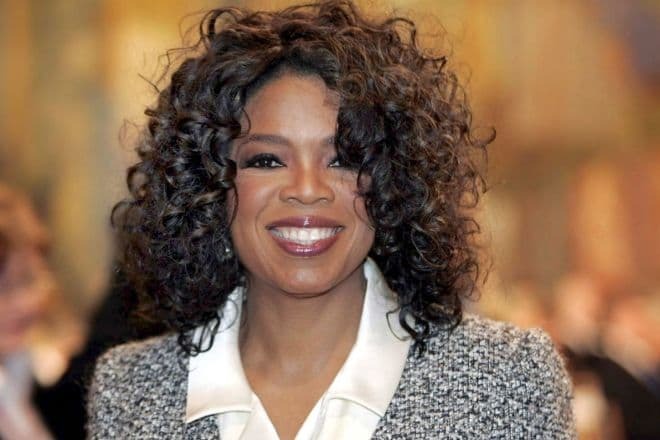 Oprah Winfrey is a famous American television host, actress, producer, public figure, the first female black billionaire. Forbes magazine regularly ranks the TV host as one of the most influential stars. She set a record according to the number of times each person appeared in Time magazine. In 2013, Oprah Winfrey’s fortune was estimated at $2.8 billion. The real name of the TV host is Orpah, in honor of the Biblical heroine. But the midwife who delivered a baby on January 29, 1954, changed one letter by mistake. So, Orpah became Oprah. The TV host herself denies this rumor and says that she changed her name because it was difficult for her friends to pronounce it. Be that as it may, Oprah is not only the owner of a rare name but also the most popular TV host in the world. The mother gave birth to Oprah at the age of 18, while her father was in the army far from his native city. The parents were not married. Shortly after the birth of her daughter, the mother went to Milwaukee and worked as a housemaid. The girl stayed with her grandmother. Later Oprah said that the grandmother was her only mother. The celebrity lived in the rural poverty for six years. Her grandmother taught Oprah to read before the age of three. The TV host considers these lessons a valuable gift. The grandmother was a strict woman, she hit the girl with a stick for disobedience. 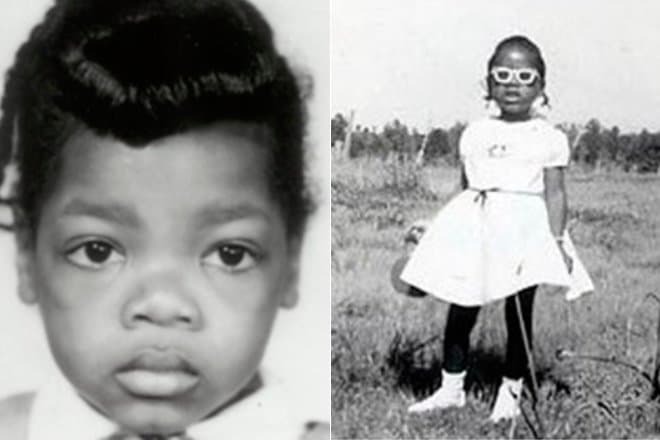 Oprah started the school after the kindergarten, and she went to third grade after the first one. At 6, the mother took Oprah to an inner-city neighborhood in Milwaukee. The star recalls this period of life as the heaviest time. To kill her loneliness, the girl began to perform at poetry competitions. When Oprah Winfrey was 8 years old, her father invited the daughter to his house. The girl stole money from her mother and ran away, but she only lived with her father for a year and then returned home. Oprah Winfrey's childhood was difficult, and it was not the poverty or the social situation of the parents, but the betrayal of close people and the psychological trauma that Oprah had got in her childhood. At age 9, the girl was raped by a cousin, but she did not tell anyone about this tragedy. Poverty and humiliation badly affected her morals. At the age of 12, the girl returned to school, but a year later, unable to stand the humiliation, she ran away from the neighborhood. The angry mother abandoned her daughter. So, Oprah Winfrey was sent to a school for troubled teens, but the father took his daughter. At 14 the girl became pregnant, the child died shortly after birth. Oprah's father was a strict man, he forced his daughter to attend the school again. The girl also enrolled in speaking course. At age 16, Oprah won the oratory competition and got a chance to enter Tennessee State University. There Oprah Winfrey studied public relations. According to her future career, the years of study were not in vain. Oprah's career on television began in 1971 when she won the Miss Black Tennessee beauty pageant. Oprah was offered the position on CBS. Oprah was the first black employee and helped the news commentator. The girl was too sentimental for such work. Oprah spoke about the tornado or earthquake in a trembling voice. Nine months later, she was fired from the television channel. In 1976, Oprah Winfrey began working on the WJZ-TV channel. First, she was a newsreader, then a TV host of the morning show People Are Talking. The ratings of the channel went up. Then Oprah was offered to work as the TV host of a low-rated show. Oprah agreed and signed the contract. A month later, the program became the highest-rated show. In 1985 Oprah was offered to star in the movie The Color Purple. She won immediately two prestigious awards the Golden Globe and the Oscar for Best Supporting Actress. The following year, she starred in the film Native Son, where she played the mother of the main hero. Later, there were a few more serials, but the project of Oprah's life was the talk show The Oprah Winfrey Show. The show has made her not only world-famous but also the richest woman. The Oprah Winfrey Show debuted in 1986 and was broadcast in 138 cities. During the first two years, the profit from the project exceeded $ 125 million. Oprah became the highest paid TV host. In 1993, her show was recognized as the most popular in America and was broadcast in another 64 states. Her guests were prominent politicians, businessmen, actors, musicians. Throughout the life of the project, almost 5000 episodes were shot. 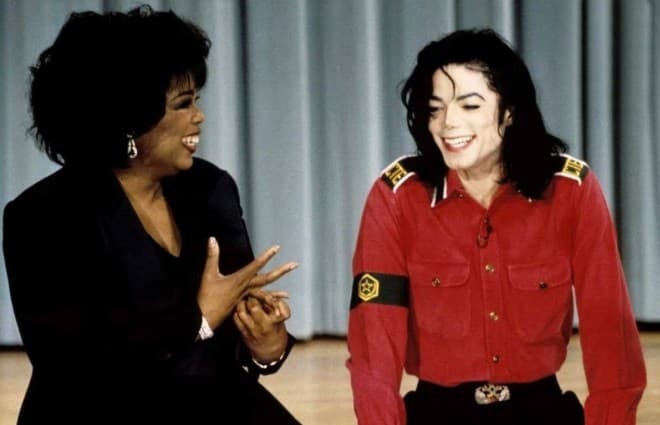 In 1993, Oprah Winfrey interviewed the King of Pop Michael Jackson, which attracted about 85 million viewers only in the USA and took the 4th place among the programs that attracted the largest number of viewers in the history of television. Another memorable episode was the show with Tom Cruise, when the actor "went crazy," allowing himself amusing stories about love and other stories. 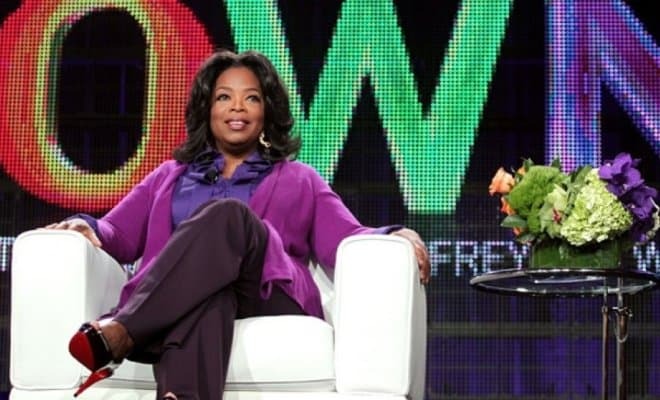 The Oprah Winfrey Show includes the series of programs under the title Oprah's Master Class, where two dozen star guests shared their own secrets of success. The authoritative American magazine TV Guide ranked the Oprah Winfrey Show in the TOP 50 of American greatest programs. The project lasted until 2011, then Oprah Winfrey decided to close it. She developed her OWN channel and the media company that produced television projects and documentaries. Oprah has her own magazine and restaurant called The Eccentric in Chicago. Oprah is also an active philanthropist. 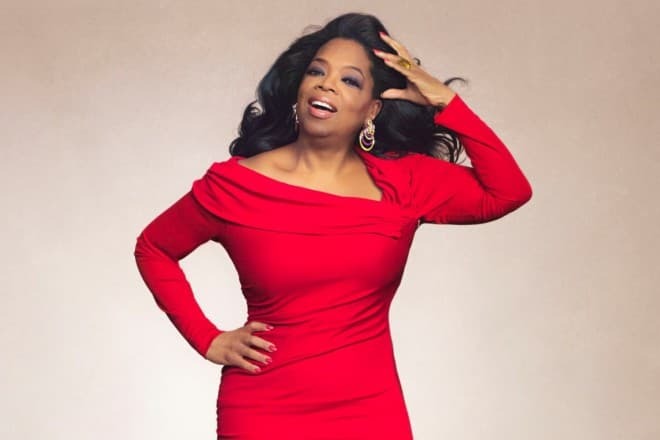 The guests of the programs and Oprah Winfrey’s colleagues say that the woman has a unique gift to feel the partner and create a cozy atmosphere. TV host does not hide emotions, and hypersensitivity is Oprah’s professional style, what distinguishes Oprah from thousands of TV presenters. 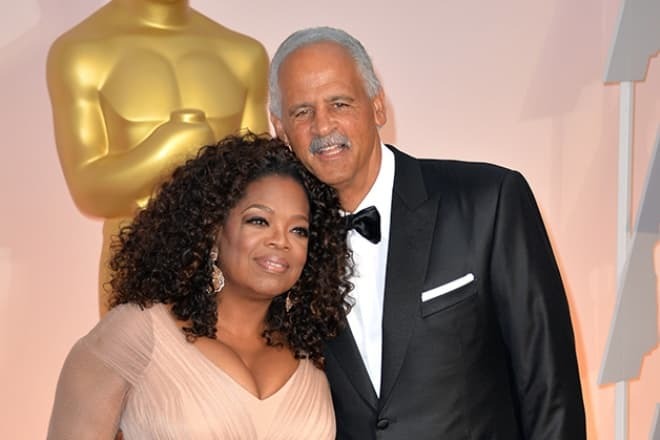 Oprah Winfrey has been living in a common law marriage with Stedman Graham for more than twenty years. They do not have children. Since an early pregnancy ended in tragedy, the TV host cannot become pregnant again. The media published a sensation news about Oprah Winfrey's "secret son", Calvin Mitchell. But the TV host dispelled the rumors and told that in the 1990's she helped Calvin and his mother to move to a normal apartment and find a job. She helped the boy to enroll in a private school. 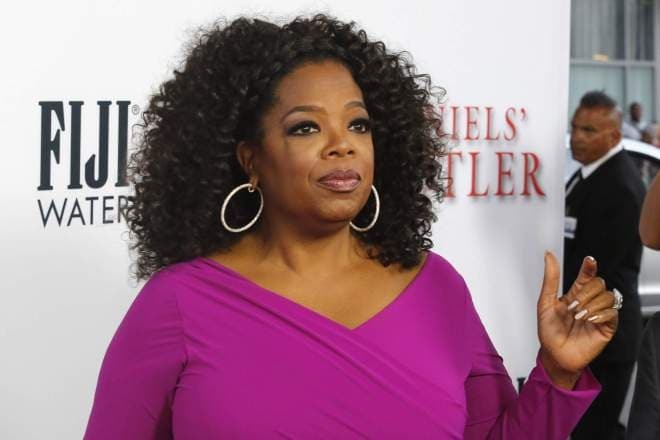 The TV presenter says that the girls from the school founded by Oprah became her daughters. Oprah dreams of settling on campus after retirement, teaching household management and being close to girls. Oprah also loves animals. Nowadays she has two cockers, and the family had retrievers before. Oprah has an official account on Instagram, where the TV host has 10 million subscribers. In 2016, Oprah Winfrey's filmography added two more movies. This year, Oprah Winfrey Network channel has released the dramatic television series Greenleaf, where Oprah Winfrey played the role of Mavis McCready and worked as its producer. In 2016, Oprah also became the creator of another series Queen Sugar, which was broadcast on the Oprah Winfrey Network channel. In early 2017, Oprah Winfrey released her first culinary book "Food, Health and Happiness: 115 On Point Recipes for Great Meals and a Better Life." 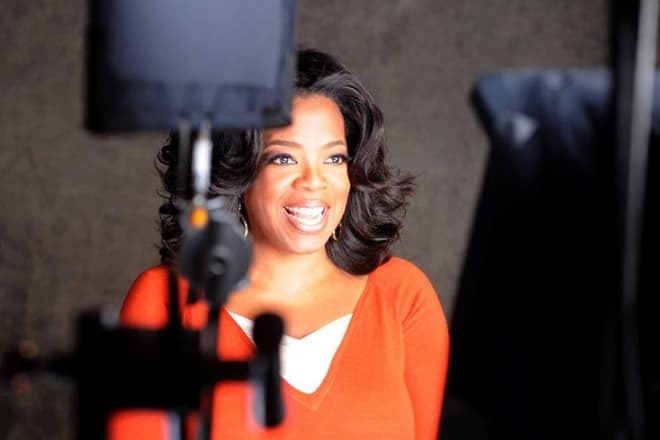 Initially, Oprah Winfrey planned to write her own biography and describe the story of her success, but later the TV host changed the idea of the book. In 2017, Oprah Winfrey will play the role of Mrs. Which in the family science fiction film based on the book "A Wrinkle in Time" by American writer Madeleine L'Engle.